Good evening! I meant to have this out earlier in the y, but somehow the rest of Monday totally escaped. Where did it go? I’m not sure, but the answer probably lies somewhere near my office chair (and my office chair’s fleece blanket). 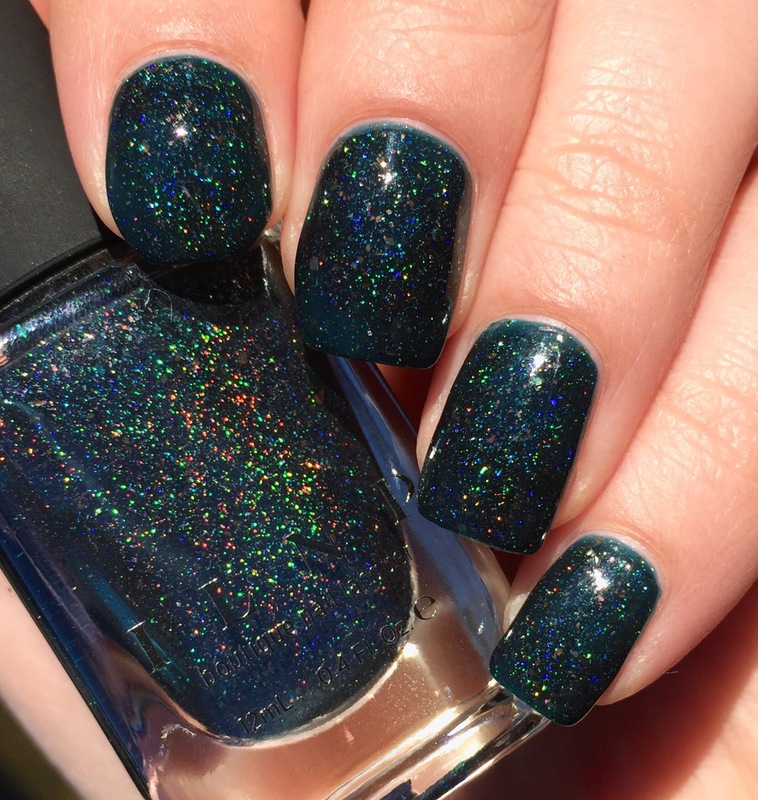 Belatedness aside, I do have a cool polish for you today! 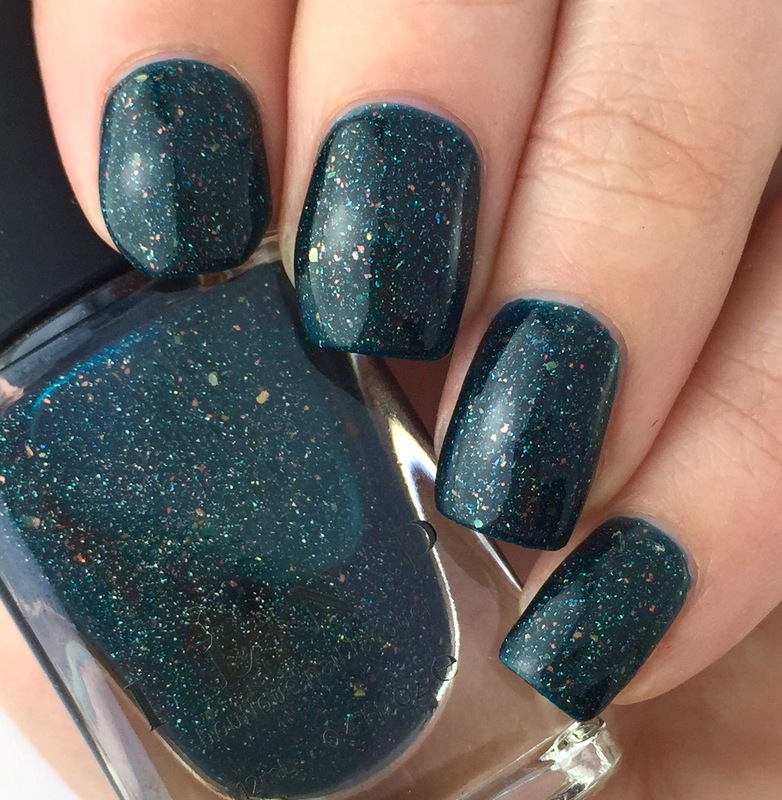 This is ILNP “Mountain View,” a dark teal jelly with big holo particles and coppery flakes from their Fall 2015 collection. 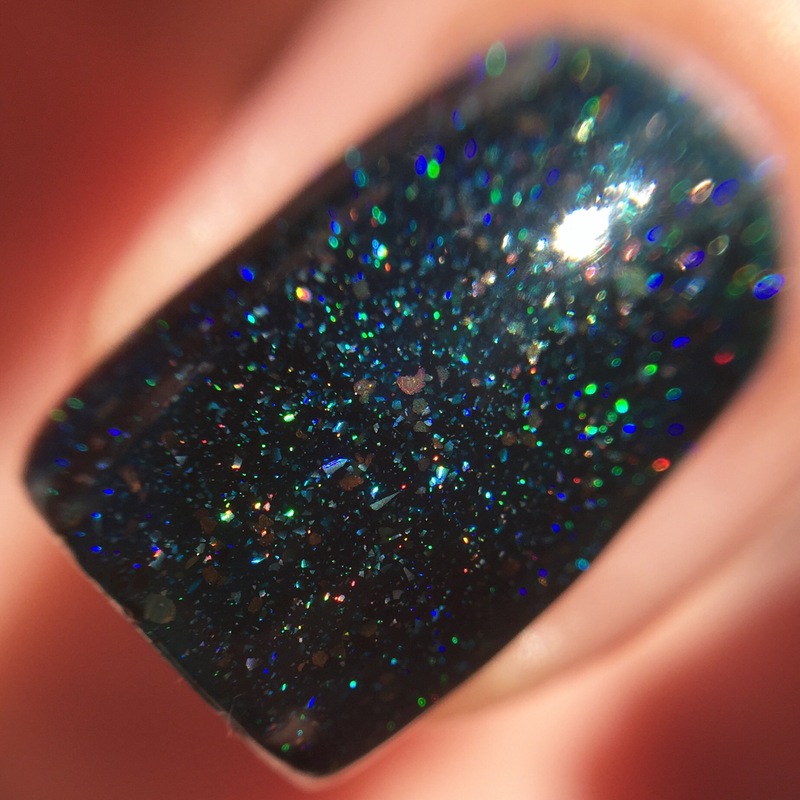 To me, this color and the holo/flakes looks like those NASA images of deep space. I can’t help but be mesmerized by the macro. 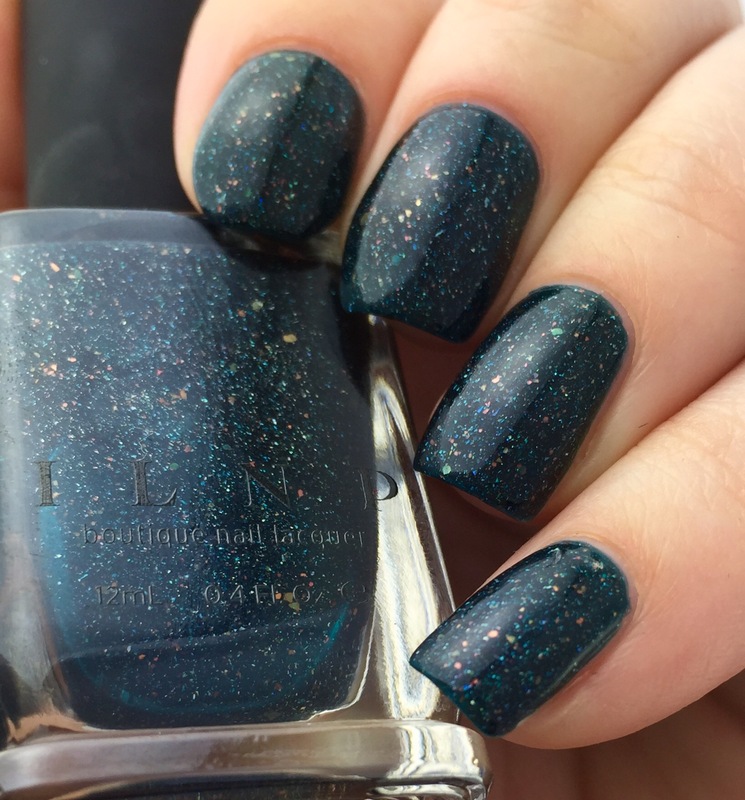 I would like to “boldly go” and get everything in the fall collection and the upcoming winter collection with this finish. It truly is spectacular both in the shade and the sun. 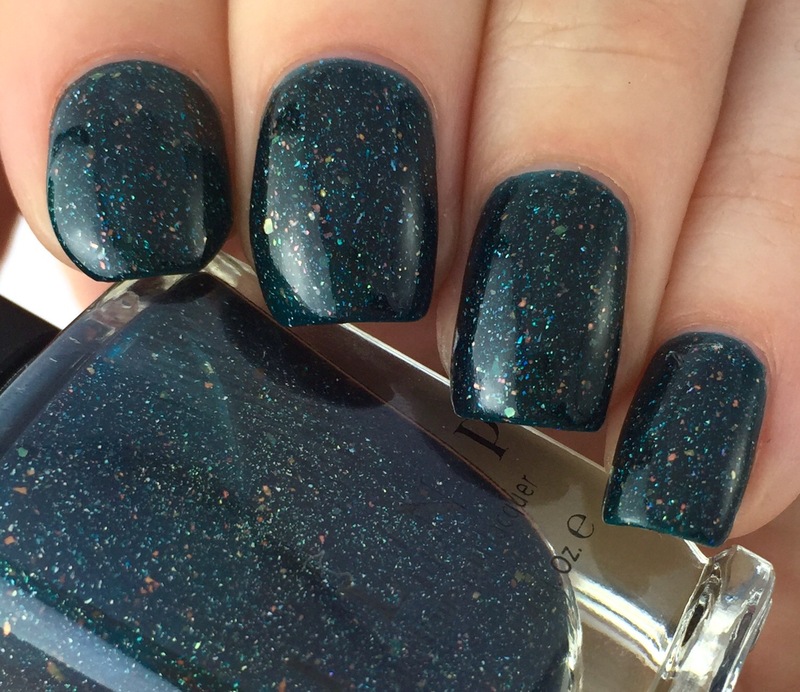 The viscosity of this was great for me- exactly like I’m used to with other ILNP colors. Very easy to work with and even on the nail. No flooded cuticles or goopiness here. On the other hand, it was definitely a jelly finish (but look at all the depth in the layers!) and it took three thin coats for me to be satisfied that there wa no VNL whatsoever. Two might be sufficient if you are not a nut about VNL like I am. There’s a purple version and a brown version of of this that are just calling my name. 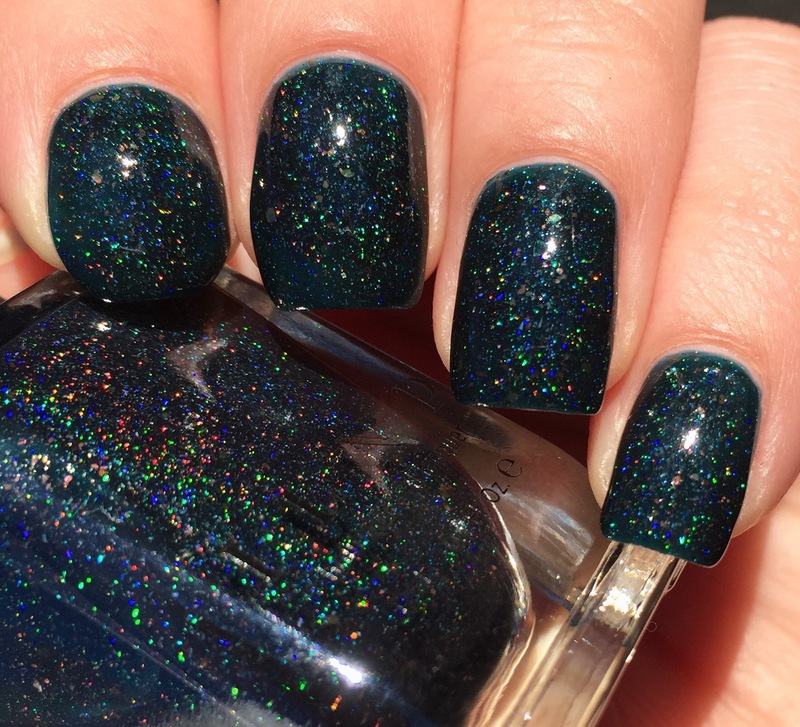 I love scattered holos and ILNP has just been knocking it out of the park lately, especially with the added flakes. I can never resist their seasonal collection pre-orders. 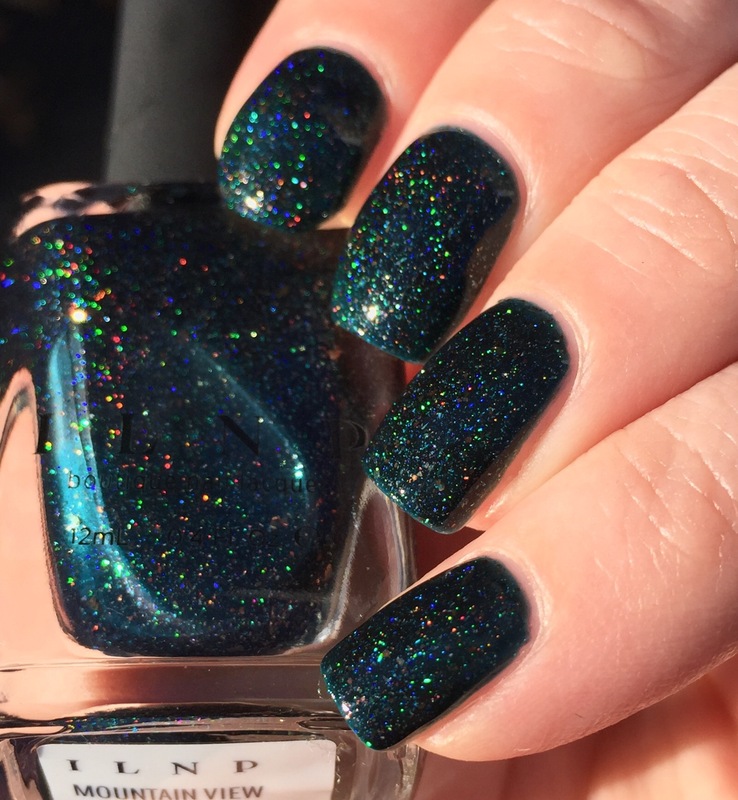 As with all ILNP colors, you can pick up Mountain View on the official ILNP website. Things are usually in stock, and shipping is quite speedy (there’s even international shipping!). I mostly buy through pre-orders for new collections because the new polishes will be a dollar less during that time (and I don’t mind waiting if it means I don’t have to go restock crazy). Definitely my kind of shade. I love the way it looks in the sun, so stunning. this totally does look like a deep field shot! 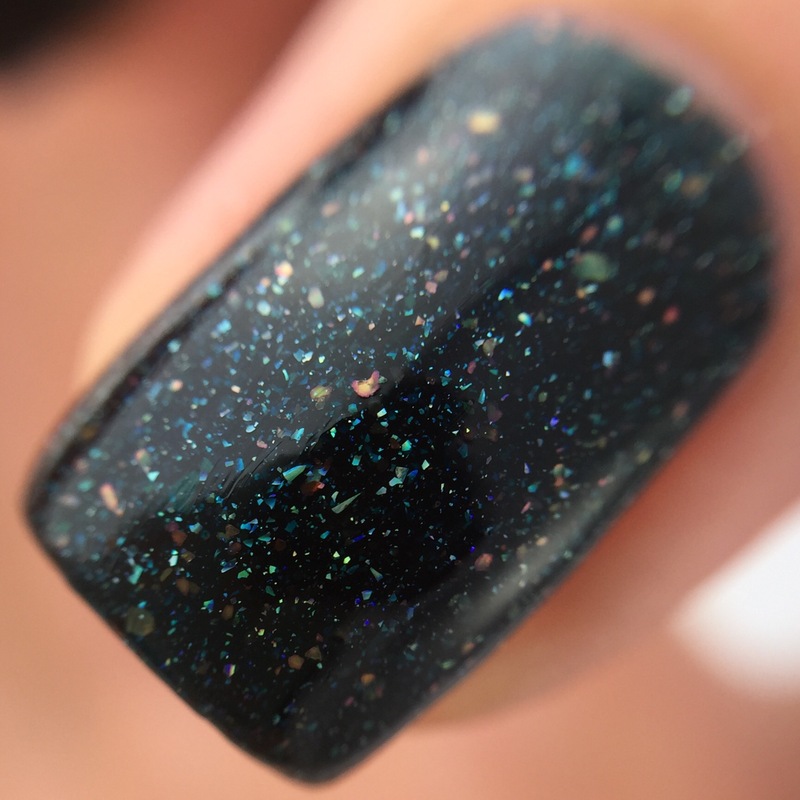 And I have to say this polish was worth waiting for, its got so much depth and I love that sparkle in your sun shots. I love this polish! You captured the detail way better than most people.